Building On Experience - BHS Construction Inc.
BHS Construction, Inc. has worked on over 1500 projects in the Manhattan community and surrounding areas. We have commercial building experience ranging from medical to educational to office construction. The origins of the company date back to 1965 when Bob Baril and Bill Rogers formed Baril-Rogers, Inc., later to be named BHL Construction. In 1982, Wayne Sloan took over as President of BHL Construction, Inc. and the current name of BHS Construction, Inc. was established. Over the last thirty plus years, BHS has been blessed by good clients, good employees, and good friends in the design field. We continue to strive to provide quality service to our clients and make it a priority to treat our employees, material suppliers, subcontractors and design professionals in a fair and honest manner. Our open book approach has paid off by allowing BHS Construction to negotiate over 80% of its annual volume of work. We have built a long list of repeat clients and valued subcontractors. In 2018, Wayne moved into the role of CEO and Patrick Schutter took over as President. 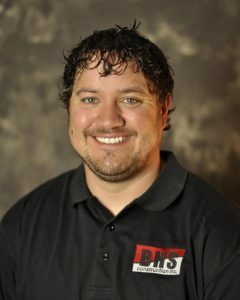 Patrick began at BHS in 2003 and has worked in many different capacities for the company. A talented staff of young professionals has been assembled who bring a refreshing and positive take on the construction process. The third generation of BHS Construction looks forward to many more wonderful years as a leading General Contractor in the region. 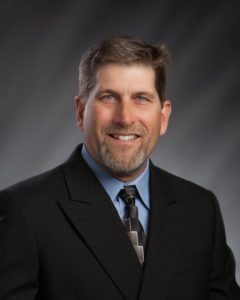 Wayne R. Sloan is CEO of BHS Construction, Inc. He is a 1975 graduate of Kansas State University with a degree in Construction Science. During college he attained journeyman status in carpentry. After graduation from KSU, he was employed at Conco Inc. of Wichita, Kansas as a Project Superintendent. In 1977, he returned to Manhattan, Kansas to join his father’s firm, Green Construction Company. 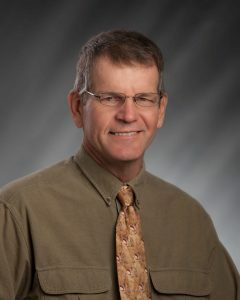 During his employment at Green Construction, he held positions of Project Superintendent, Project Manager, and Estimator. Mr. Sloan worked there until the owners retired and the company was closed in 1981. In January 1982, Mr. Sloan bought into BHS Construction, Inc. and became its President in August of that same year. In 2012, Wayne and Cindy Sloan purchased the remaining stock in BHS Construction to become 100% owners of the company. As of November 2016, 70% of the company has been sold to the third generation owners Zach Sloan, Patrick Schutter, and Levi Schneider. Outside the company, Mr. Sloan has been very active in the Manhattan community. 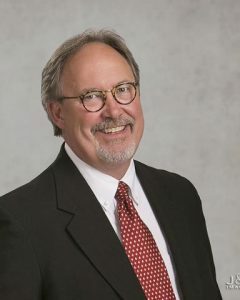 He has served on the board of directors of the following organizations: St. Mary’s Hospital, Manhattan Chamber of Commerce (1989-91, 2007-2009, 2013 to Current), Boys and Girls Club of Manhattan (President), Associated General Contractors of Kansas, Inc. (Treasurer, Vice President, & President), the Construction Industry Council of Manhattan (Founder & President), and the St. Thomas More Parish Council. 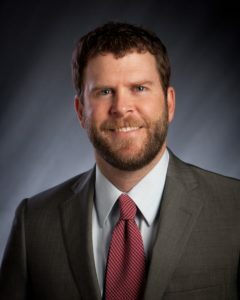 He currently serves on the board of the Manhattan Area Chamber of Commerce, Chairman of the Kansas Alliance of Boys and Girls Club, and Landmark National Bank Board of Directors. Patrick is a native Kansan whose construction roots go back to boyhood 4-H projects. 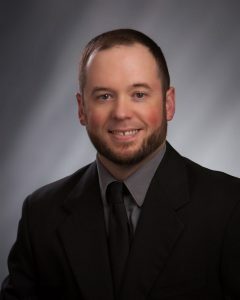 He graduated from Flint Hills VoTech College in Construction Technology, and also holds a degree in Construction Science and Management from Kansas State University. He started with BHS Construction, Inc. as an intern and has risen through the ranks to our current President. He heads up preconstruction and procurement of new projects in addition to management of projects. Patrick has impressed our long time repeat clients with his ability to complete projects on schedule and under budget. He has good attention to detail and is a team player. Through his many hours in the field, he has developed an understanding of the building process as well as the need to manage the process. Patrick graduated from the Leadership Manhattan 2015 Class. 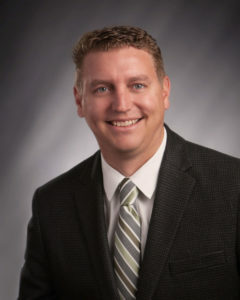 He has been active in the Flint Hills Area Builders Association and was President in 2013. He is currently on the Wabaunsee Township Volunteer Fire Department. Through his many community activities and board positions, he brings another perspective to the construction management process. 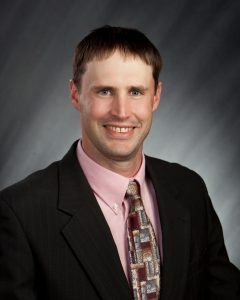 Levi was born and raised in Salina, KS and came to Manhattan to attend Kansas State University in 2000. That year, he began his time working as a carpenter on summer concrete crews and fell in love with the industry. 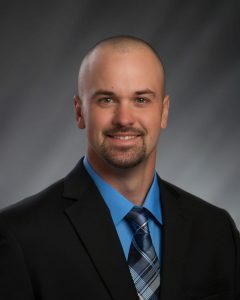 After graduating with a degree in Construction Science in 2005, Levi spent 4 years traveling the Midwest as a Field Engineer/Foreman constructing water treatment facilities for Garney Construction. He then returned to Manhattan and became a Project Manager for BHS Construction. Levi has managed and completed projects for commercial, municipal, restaurant and medical facilities. He has worked on project scopes for construction with ligature concerns, of large square footage, coordinating secure facility construction and with construction in occupied spaces. 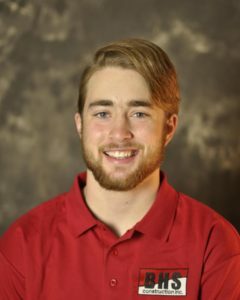 Levi enjoys the process of working with owners and construction committees to create a project they can all be proud of and enjoy for years to come. 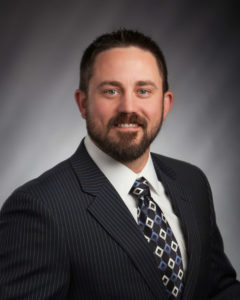 An Alma native, Shane has spent his entire life living and working in the surrounding areas. While attending Kansas State University he got his start in the building industry. 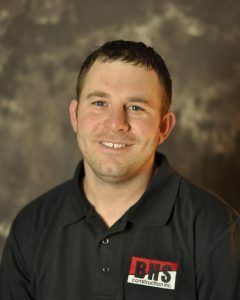 Shane started as an intern at BHS Construction in 2005 where his skills and knowledge of construction were quickly recognized and put into action. 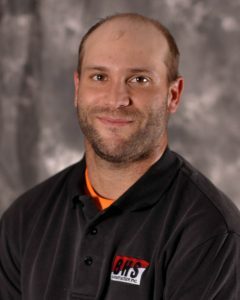 In 2007, Shane graduated with a degree in Construction Science and Management and started his career with BHS Construction. During Shane’s time at BHS, he has managed and completed a variety of projects and project types. Greek, retirement community, and local remodels have became his specialty. Shane has managed a total of 15 sorority/fraternity projects. All which were finished on or under budget, and on or before scheduled. Shane has brought a refreshing outlook to BHS when it comes to customer satisfaction-the happiness and pride of an Owner is why Shane does what he does every day. 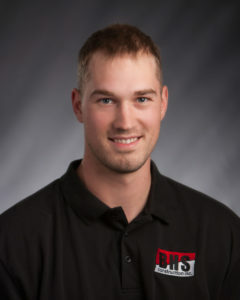 Rex is a hard-working team player, adaptive to his surroundings and knowledgeable about many aspects of construction. 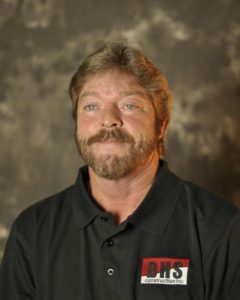 A Kansas native, Rex got his start in the residential arena with jobs ranging from concrete foundations to roofing projects. During college he worked as a framing carpenter and concrete finisher. He was a part of converting numerous homes into code compliant living spaces for students as well as setting up foundations and flatwork for homes around the Manhattan community. 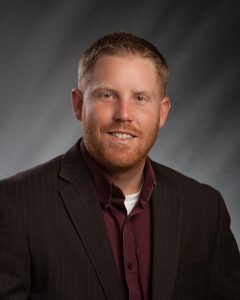 After graduating K-State in 2004, Rex worked as a Field Engineer for a commercial general contractor in the Denver, CO area. 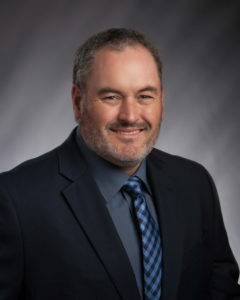 Rex was quickly promoted to Project Superintendent where he successfully managed demolition, renovation, tenant finish, and ground up new construction projects. His history of project types includes: correctional, healthcare, single and multi-family residential, municipal and education. 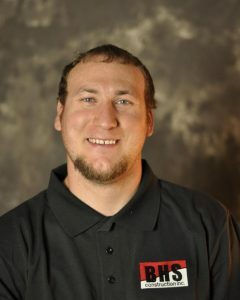 Rex moved back to Kansas and joined BHS Construction in 2015. His experience in a larger market has proved invaluable for BHS projects of all scopes. Andrew joined the BHS team in 2016. A Manhattan native, he has spent his entire life living and working in the area. While attending Kansas State University to earn his degree in Construction Science and Management, he got his start in construction. 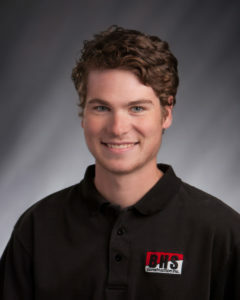 Andrew spent summers and time between classes working in the field on residential and light commercial projects where he learned the importance of attention to detail. 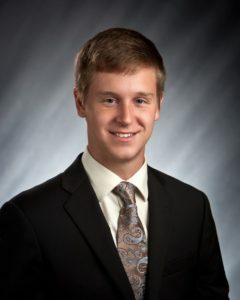 After graduation, Andrew started his career working for a local commercial general contractor as an estimator. Over the next several years, Andrew moved his way into Project Management. Both responsibilities had him focused on K-12 and higher education projects. He understands the balance of high quality, managing budgets, driving schedules and most importantly safety, while working in and around schools. He also understands how to integrate many different projects into one program to maximize efficiency and value. 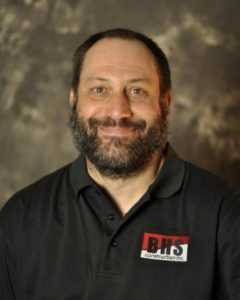 Andrew joined BHS Construction in the fall of 2016 and contributes to each project knowledge and experience he has gained over the last 12 years in the industry. Boone has called Manhattan his home since 1998. 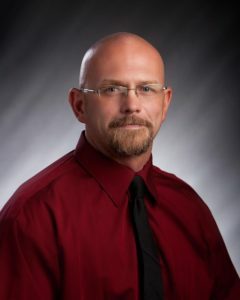 After graduating from Kansas State University with a degree in Construction Science and Management, he worked for a production housing company and primarily worked on housing improvements on the Fort Riley army base. He was initially involved in day to day field coordination of renovations to homes then moved into new home construction within that same company. 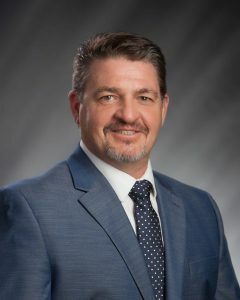 After supervising the construction of nearly 130 homes, he moved on to work with a second company on base that transitioned him away from field construction and into the office. He oversaw his projects from site visit and price negotiation, through construction, close-out, and warranty. The projects ranged from sidewalk repairs and office finish remodels to complete renovation of historic buildings and airfield hangars. He joined the BHS team in 2013 where his primary role is in the estimating department. 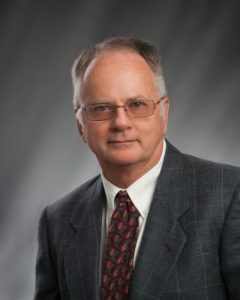 His variety of experiences in construction make him a valuable resource not only for producing cost estimates, but for all aspects of the building process. 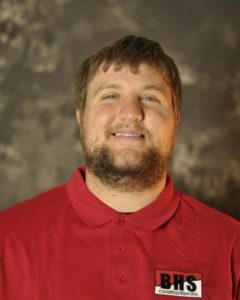 Adam has called the Clay Center, KS area his home for most of his life. His experience in construction began right out of high school framing houses for the summer in Cape Cod. 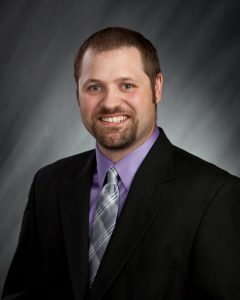 He studied Construction Science at Kansas State University and has worked in many capacities since. 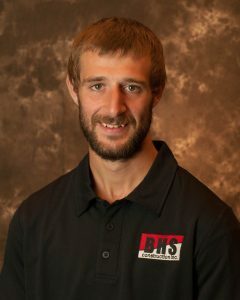 After graduation, Adam worked for a general contractor in Kansas City as a Safety Coordinator. 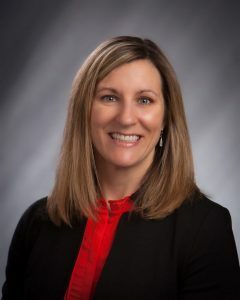 The position transitioned him into a superintendent role for a few years and finally into estimating. Adam joined BHS in 2018 as an estimator and his experience is relied on in the preconstruction phase of a project. 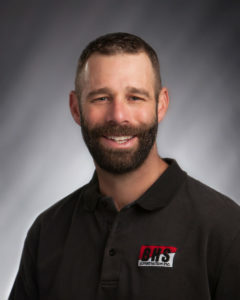 Adam has been involved with the Associated Builders and Contractors Heartland of America Chapter Safety Council as a member and he also served as Chairman. He received ABC’s Special Service Award for Outstanding Leadership. 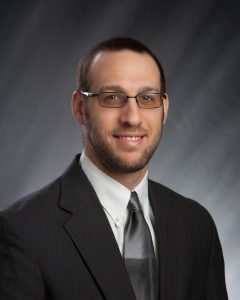 Adam has experience in residential, multifamily, multi-use, new commercial, commercial renovation and educational projects across multiple contract types and conditions. 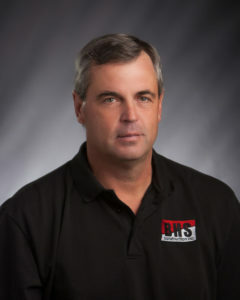 Brad Sinn started with BHS Construction in 1982 as a carpenter and the first employee hired by BHS. Prior to that, he worked with Wayne Sloan’s father at Green Construction where his father-in-law was a superintendent. 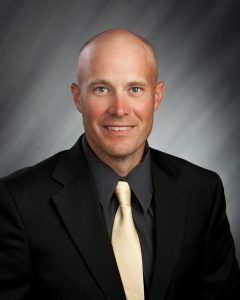 Vast construction knowledge, field skills, and ability to get along with everyone on a construction site has made Brad one of BHS’s top Superintendents. He has always paid attention to every detail and is willing to do whatever it takes to have a successful project and please the client. Brad has been involved in almost every major project BHS Construction has completed in the last three decades. 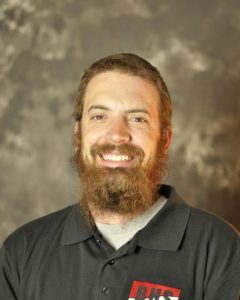 Brad has experience working on projects varying from historical restorations, medical facilities, restaurants, warehouse buildings, fraternity and sorority houses, and several churches. When asked what his favorite project was, he said “all of them.” He stated that “they all had something that made them fun and unique.” He pointed to a design, feature, committee, owner, or structural design that made them all special in one way or another. Cass was raised in Hope, KS and made his way to the area in 2007 to attend Manhattan Area Technical College. After graduating from the Building Trades program a year later, Cass joined the construction workforce. He came on at BHS as a carpenter in 2011. Cass has quickly risen through the ranks during his five years with BHS. He immediately proved himself to be a productive asset for the company. He was quickly promoted to Assistant Superintendent which had him leading small crews and has recently advanced to Superintendent. He has worked on a multitude of projects in the community and gained knowledge at each step along the way. Cass leads by example; the pride he takes in his work is contagious. Other crew members pick up on this motivation which produces safe and efficient projects. Since his first steps on a job site at the age of fifteen, Wayne has had a passion for the industry. He initially served as a laborer, advanced to carpenter, and eventually superintendent. 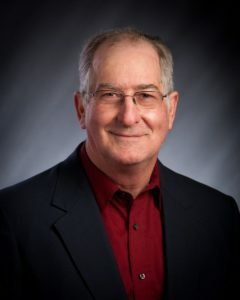 From framing to flooring installation, concrete foundations to roofing, he has been involved with nearly every aspect of building through his 41 years of experience. In the summer of 2013, Wayne brought his experience and industry knowledge to BHS. 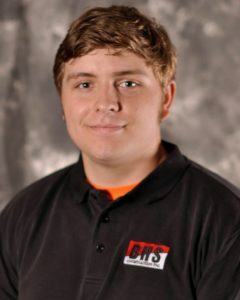 He has taken on every project given to him with a great attitude and has become a leader in BHS field operations. He has been put in charge of larger jobs such as complete sorority remodels and hospital projects. Wayne’s proactive thinking and organized approach have been key to completing jobs with difficult details and strict time lines. 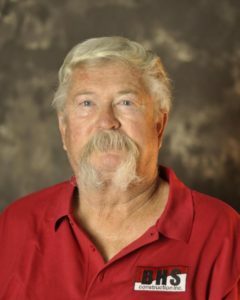 Scott started his construction career in 1972 as a carpenter-laborer in the Topeka housing market. He learned the trades quickly and ventured out to start his own business three years later. he ran this company with his business partner from 1975 to 2011. Scott then went to work for a Topeka based general contractor. This job had him meeting tight schedules while traveling the region as Superintendent on chain restaurant projects. Scott preferred to remain closer to home; this desire brought him to BHS Construction in January of 2014. 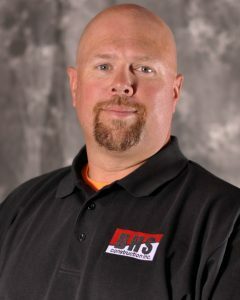 Scott’s many years of experience and self-reliance had him immediately contributing to the company. He is equally comfortable working alone on a small project, managing a group of subcontractors through a medical clinic finish out, or running a crew of BHS self-perform tradesmen. His even tempered demeanor and quick wit make him a natural colleague to all who work with him. Sean has had a passion for building from a very young age. 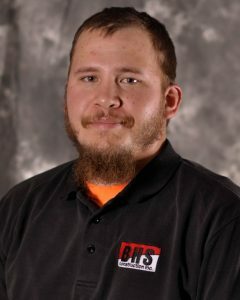 He attended Wichita Area Technical College and received a Technical Certificate for Carpentry in 2006. He then continued his education at Kansas State University where he studied Construction Science & Management. Throughout his time at K-State, Sean worked for a local company building custom homes. 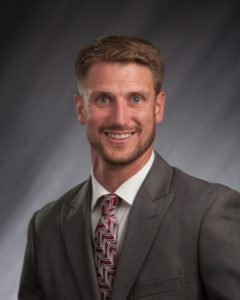 After graduation, he went to work for a commercial general contractor supervising government contract jobs in the Salina area. Sean joined BHS in 2016 and contributes his extensive jobsite knowledge to every project he works on. Sean is OSHA 30 Certified and prioritized safety and cleanliness on his jobsites. He has experience in residential, new commercial, commercial renovation, secure facility and education projects. John has been in construction in one form or another for 21 years. 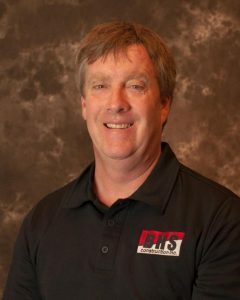 He entered the field from a Facilities Management perspective and then moved into commercial construction about 10 years ago. 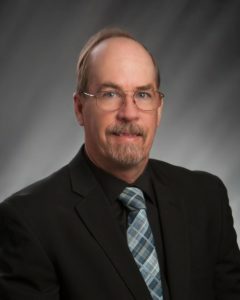 Through his work in Estimating, On-site Construction Management and 5 years of Project Management, John has gained a very-well rounded knowledge of a General Contractor’s road to success. As a Project Manager, John has managed 3-5 jobs at a time, each with contracts exceeding $1 million. He has worked with several high-profile clients on projects for restaurants, schools, mortuaries, convenience stores and full-service car washes. John takes great pride in a “shepherding” style of leadership rather than a “driving” style. 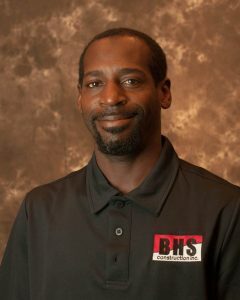 He is a hands-on leader that enjoys mentoring his guys on site while enforcing a safe, clean and efficient work place.